Everywhere you look there are articles about the construction industries number one issue. Employment. Good employees are becoming harder and harder to find as demand continues to build year over year. According to the Associated General Contractors of America (AGC) construction spending has surpassed 2007 levels and yet 70% of companies cannot find enough employees to fit their needs. In our article last month, we discussed some of the technological trends for addressing employment concerns but this month we really want to dive into some of the key employment issues and how to handle them. The first of the issues we’re tackling is the rampant use of opioids in the workplace. According to a Bisnow report published in Forbes, the average rate of illicit drug use in the construction industry stands at a whopping 15.1%. This is the highest rate of use out of any industry in the United States (including the notorious food industry) and is fueled by the higher rate of opioid prescriptions. The construction industry spends on prescription opioids has held at 20% from 2009-2013, a whole 5-10% higher than any other industry represented in the study. There are a lot of factors behind these staggering numbers but primarily it has to do with the nature of the work and workforce. Construction is hard on the body and tends to be incredibly dangerous compared to many other industries. 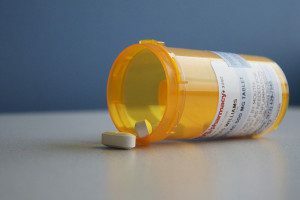 This constant physical wear and tear often leads to a greater rate of prescribed opioid pain medications, so the worker can get back to the job site. Sadly, this hurry to get back to work and the lingering addiction to the narcotics will lead to a sharp increase in additional injuries to the employee and others from employees working impaired. According to the National Survey on Drug Use and Health these injuries, lost time, job turnover, healthcare, and retraining can cost a company with 100 workers anywhere from $38,000 to $44,000 in a single year. Despite the real threat of opioids to an already diminished workforce there are some key ways to head off the problem. The key action that employers can take is to educate their employees about the dangers of prescription drugs and their lasting effects. Finding ways to support your employees as they return to the jobsite, repeated safety trainings to reduce the risk of further injury and the initial exposure to opioids, and a continual education on the dangers of drugs in the workplace will significantly reduce your drug related risk. The second issue tackled in this article is that of finding the right people to fill your diminishing workforce. Between April 2006 and January 2011, the construction industry had to cut nearly 2.3 million jobs because of the recession and it never recovered. The industry faces a crisis, where its existing workforce are entering their retirement years and there just are not enough people to fill their shoes, let alone deal with the expected surge in demand due to several much-needed infrastructure plans. A lack of technical training amongst the younger generations and a societal pressure to forgo manual labor in favor of college degrees and desk jobs have left the market in a crunch. Despite this, there are some great avenues of potential for improving your work force. One of the most prominent way to increase your employment pipeline is to begin investing in local apprenticeships. While being an expensive alternative, most experts agree that apprenticeships and training while working programs are the golden standard of linking employers with the millions of job seekers looking for work. By the numbers trade schools are growing by up to 50% year over year and institutions like Colorado’s MILL National Training Center are finally engaging the younger generations to take an interest in the construction industry. With trade school attendance on the rise, there needs to be a level of employer buy in to increase the momentum of growing interest. This is a universal thought as business leaders around the country and even President Trump push for an increase in apprenticeships. The administration even signed an executive order that authorized the Department of Labor to fund state apprenticeship programs last year, though he also cut the funding for training programs by nearly 50%. If an apprenticeship isn’t something you can develop than diversifying your workforce will be the next best alternative. Focusing on demographics like veterans, African Americans, and women have become prime target employees for the industry with over 70% of companies agreeing these demographics need to be included if there is hoping to bridge the employment gap. Women alone make up 51% of the US population and yet they only hold 9% of total construction employment. Negative assumptions of these demographics ability to perform has led to these low numbers and is slowly beginning to be reversed through programs like Habitat for Humanity’s Women Build Week. Addressing an earlier point as well, the same National Survey on Drug Use found that men are twice as likely than women to have drug related work issues which could would reduce your employees opioid risk. Another demographic that needs an additional level of focus are Hispanic workers. Already comprising 29% of the construction industry (those who are documented) keeping this demographic loyal to your business and not your competitors is crucial to keeping your workforce. Igor Fridman, co-founder of Queblo, often states that one of the keys of keeping these employees involved is to hire bilingual superintendents and foreman. Being able to communicate with a significant proportion of your workforce is key and the ability to speak Spanish is quickly becoming a must in the construction industry. Consider building incentive programs for completed language courses on apps and websites like edx.org and Memrise to develop these skills for your employees. Sadly, when it comes down to it, all your diverse recruitment, apprenticeships, and training programs will do little in the face of better benefits from your competitors. In a recent pole from the AGC 50% of firms reported increasing the base pay rates for their craft workers and 24% reported giving bonuses or other incentives to attract workers. One of the inevitable effects of few employees in an era of high demand is that you must begin paying more for decent labor. Either in benefits or actual wage increases the best way to improve the loyalty of your employees is to pay well, train often, and provide avenues for advancement. Whichever method you choose, it is inevitable that keeping qualified employees and recruiting is going to be the construction industries most pressing issue in 2018. These are a few of methods to address those but each company needs to tackle the problem in the best way possible for them. If you want access to curated articles for the construction industry and to see some of the articles we at CE Payroll Service read to stay up to date on all issues construction, please follow us on LinkedIn! If you want to see how CE Payroll Service can free up time to focus on HR issues, please contact us at sales@cepayroll.com or call 1-800-544-2530.